Here at UK Poker News we're delighted to welcome Bodog Poker to our room reviews. We're even more pleased to discover that our readers can take on the Bodog Pro's by taking part in the Bodog Poker Leaderboard. The Bodog Poker Leaderboard is an excellent way of making some extra cash from your regular play. 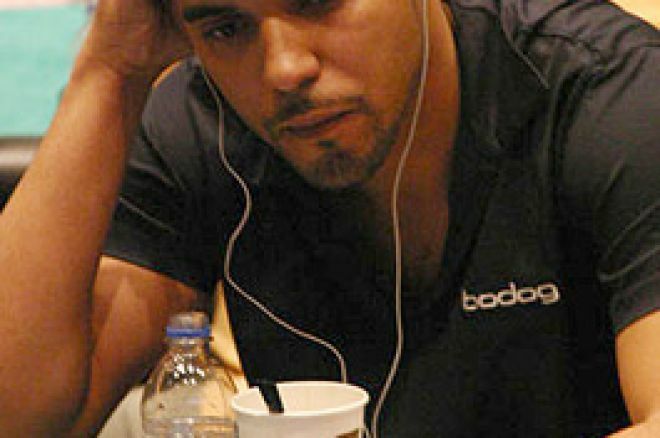 If you're good enough to win the monthly leaderboard you can take on Josh Arieh or David Williams in a $1,000 heads-up match. There are prizes for places further down the leaderboard too. Points are awarded for all Bodog Poker tournaments that are open to the public, not a 'Qualifier' for another tournament and not a Sit and Go. Based on a point system that distributes points for top finishers in tournaments the leader board takes into account the number of players, the buy-in and your finish rank for each tournament you participate in. Your top 12-point finishes are counted. Your top 25-point finishes are counted. Your top 125-point finishes are counted. The top 20% of finishers in every tournament will be awarded Points. The top ten leaderboard players all win great prizes. 2nd and 3rd place wins 270 tournament credits. Use these for entry into WPT or WSOP semi final events. 4th and 5th place wins 109 tournament credits. Use these for entry into the $100,000 guaranteed event. 6th to 10th place wins 29 tournament credits. Use these for entry into WPT or WSOP quarter final events. Remember to check out our Bodog Poker review and our in-depth look at all the best online poker rooms on the right of this page. Ed note: Download Bodog Poker home of WSOP champion Jamie Gold. We'll throw in a 10% INSTANT cash bonus when you deposit too! Become a Professional Poker Player with Paddy Power!